Houston is well-known to the world of Disco, R&B and Motown. One of her most notable singles during that period was “You’ve Been Doing Wrong for So Long” which secured her a Grammy nomination for a Best Female R&B Vocal Performance. Houston released her third album Any Way You Like It in 1976 and the first single released was her version of Harold Melvin & the Blue Notes’ 1975 song “Don’t Leave Me This Way”. In February 1977 the track hit Number 1 in the U.S. on the R&B and Club Play Singles charts and in April 1977 on the Hot 100 Charts. “Don’t Leave Me This Way” won Houston the Best Female R&B Vocal Performance at the Grammys for 1977. Thelma’s Grammy-honored career spans four decades of American musical history, yet her vocals have never sounded richer than today. Thelma Houston & JANITOR met in 2012 while performing at a benefit concert in Northern California. He played cello. She sang. Despite the 42 years between them, a musical bond was clear. Writing and recording music since 2012, Thelma & JANITOR are pleased to release their debut EP, “fortytwo” ­named for the difference in their ages ­ on September 17, 2013. The five-song EP maps a journey of success and struggle in Thelma’s words and a genre-defying tapestry of contemporary and vintage sounds in JANITOR’s beats. We are delighted to have Mr. Emotion back with us during this special time of the year! 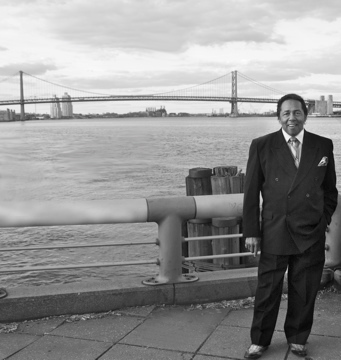 He is a pop and R&B songwriter and record producer who has done extensive work with the team of Kenny Gamble and Leon Huff, and who was instrumental in creating the “Philly Sound” in the early 1970s. Few songwriters have influenced a genre like Bunny Sigler. Sigler has worked with most of the artists associated with the Philadelphia stable including The O’Jays, The Roots, Jackie Moore, Harold Melvin & the Blue Notes, Barbara Mason, Billy Paul, Lou Rawls, Patti LaBelle and Stephanie Mills. Instant Funk’s “I Got My Mind Made Up”, Patti Labelle’s “Somebody Loves You Baby”, The Whispers’ “Bingo”, Jackie Moore’s “Sweet Charlie Babe” and The O’Jays “Sunshine” all came from the pen of Bunny Sigler. He has been sampled by The Roots, Notorious B.I.G., Mary J. Blige, 50 Cent, and Outkast and co-wrote “The Ruler’s Back,” the opening song on Jay-Z’s album, The Blueprint, and “Dilemma,” the 5-times platinum hit on Nelly’s album, Nellyville. Bunny has released The Lord’s Prayer, which is a collection of gospel songs near and dear to Bunny’s heart and a beautiful single, “You’ll Never Know,” which is from his album From Bunny, With Love feature on our show earlier this year. During his career, Bunny has amassed more than 35 million units as a producer artist and songwriter. Join your hosts Tania-Maria and Richard-Alan December 15, 2013 as we welcome Bunny Sigler and celebrate love. Visit Colored People Network’s profile on Pinterest. Kathy Yolanda Rice has blessed us with her music in our “The Colors of music” shows along with other talented ColoredPeople.net artists. Now we are elated to dedicate a show featuring Kathy’s life and projects. Kathy Yolanda Rice was born and raised in the cosmopolitan city of Huntsville, Alabama, where her passion for music and art was recognized at an early age. Kathy writes her own lyrics and musical compositions. Most of her original tunes are based on real life experiences and emotions, from childhood throughout her adult years. Kathy began piano lessons at age 6, but knew that she always wanted to focus on singing. She took formal voice training at age 12 and continued throughout college, graduating from Alabama A & M University with a major in Music. Kathy embarked on a recording project with Hit Record Producer, Kelvin Wooten, formerly of Toni! Tony! Tone! Kelvin and Kathy created the magic that made her music so classy and unique. Wooten has produced hit songs for Anthony Hamilton, Jill Scott, Erykah Badu and Kelly Price, to name a few. Kathy is a gifted vocalist with a style of her own while she captures the hearts of many with her precious voice and original compositions. Kathy’s latest 2013 release is a collaborative smooth jazz project with songwriter Gary Swann. The tune, Love is Like a Sunny Day, features Kelley O’Neal on Saxophone. Rice joined several other women musicians on the Bobby Pin Diaries movie soundtrack, which features her up-tempo tune, I’ve Gotta Find a Love for the February 2013 release. August 2012 marked the release of a beautiful gospel project…the recording of the Walter Hawkins remake of Jesus Christ is the Way, by Nuove Mystique. Rice is the lyric soprano in the group. The jazzy rendition was released on Audio State 55 and is distributed by the Warner Music Group. 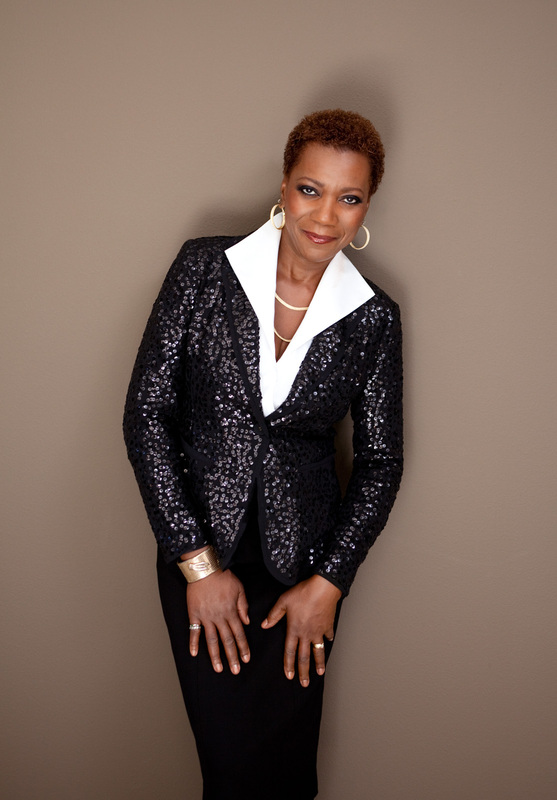 Through her networking with other women musicians, Rice was a featured artist on the Women in Jazz South Florida Volume III compilation CD, released in December 2012. Her classic jazz piece, Cloak and Dagger Affair, heads the lineup of this eclectic mix of jazzy tunes. In 2011, Rice performed her mellow vocals on Marc Lacy’s Narcoleptic CD on the track entitled, “Exodus.” In December 2010, Rice collaborated on a Soulful House project entitled, “Feeling the Heat” with world renown Dance/House music record producers Fabio Tosti and Francesco Tarantini on Music Plan Records out of Bari, Italy. Her recent release is a soulful and anointed Gospel Jazz duet with internationally renowned Television (Miami Vice) and film actor, Broadway performer, multi-instrumentalist, and vocalist Philip Michael Thomas.Kathy Yolanda Rice and Philip Michael Thomas capture the essence of true love with the magical blending of their voices. Accompanied by Kelvin Wooten’s Cool Jazz/Gospel/R&B track, their unique sound excites the soul and spirit! This anointed love song will cause you to fall in love over and over again, and renew your vows and keep your commitment to your significant other. Join your hosts Tania-Maria and Richard Alan as we enjoy a wonderful conversation with our very own Kathy Yolanda Rice! 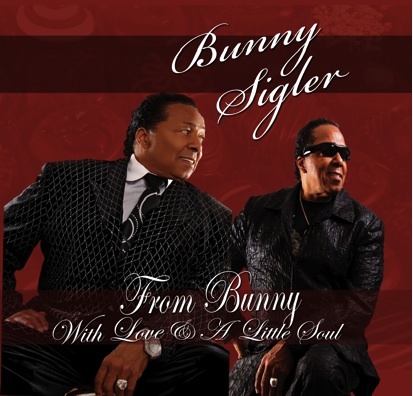 The legendary Walter “Bunny” Sigler is a four-time Grammy award winner and nominee who has been a writer, producer or recording artist on over thirty-six million CDs. He has over four decades of multi-gold and platinum recordings both as a recording artist and producer. The twelve original songs on this newest CD “From Bunny With Love” are evidence that Bunny remains a musical and creative powerhouse. 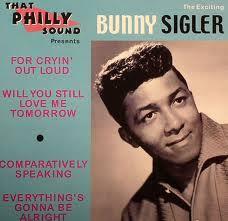 The singer was born Walter Sigler in Philadelphia on 27th March 1941. Bunny recalls, “They called me Bunny right off because I was born two days before Easter. The first singing I did was in church – Sunday school. I wouldn’t say it was very funky, just straight. . . ‘Our Father which art in Heaven.’ But then I started going to my mother’s church, that was a Baptist Church, the Emmanuel Baptist. Now THAT was funky. I really dug the way people got down in church. I sang in school, all the kids did, you know the group kinda thing. I would get home at six in the morning and have to get up in a couple of hours and go to school. I had a little group called the Opals, me and my brother and two other guys. One was called Murphy who looked just like Nat Cole. We did quite a few shows, but a couple of times the group didn’t show up so I had to do the show all by myself. Bunny recorded some more sides. But it was one summer, after performing at Atlantic City’s Ambassador Hotel that his big break came. Bunny was singing and improvising on the piano, searching for ideas, when he was brought to the attention of independent producers John Madara and Dave White (Len Barry’s “123”) by Leon Huff who suggested they check out Sigler’s performance at the Red Hill Inn. Impressed, they signed him to a deal that led to the release on Cameo of “Let The Good Times Roll”/”Feels So Good”, a soulification of two old R&B hits by Shirley & Lee. It’s irresistible groove saw it reach 12 in the US R&B Billboard charts. When Cameo Parkway folded, Sigler began hanging around the hallways of Gamble Huff Productions, singing, strumming guitar and practising his newly acquired martial arts skills with wall punches and kicks. The latter proved unsettling to visiting clients leading Kenny Gamble to suggest that Sigler go into a room with Eugene Dozier and try to write some songs. Up to that point, Sigler hadn’t even thought about becoming a songwriter. Around 1970, Gamble Huff Productions became Philadelphia International Records. When Eugene Dozier left the label, Sigler inherited his office. Sigler’s songwriting break came when a tune he co-wrote with Phil Hurtt, “(You Are My) Sunshine”, was released as a followup single to the O’Jays’ million selling ‘Back Stabbers’. Other Sigler/Hurtt tunes included on the ‘Back Stabbers’ album were “When The World Is At Peace” and “Who Am I”. The O’Jays’ followup album, ‘Ship Ahoy’, had Sigler’s first solo written song, “You Got Your Hooks In Me”, and the Sigler/Gamble tune “Don’t You Call Me Brother”. Sigler’s songs, productions, piano and background vocals are sprinkled throughout the Philadelphia International Records catalogue. Sigler began to look for a group to develop, and through Jackie Ellis he met the TNJs (T for Trenton, NJ for New Jersey), a vocal group that built up a strong reputation around the Tristate area. Backing the TNJs were a band called Instant Funk. The nucleus of the band was bassist Raymond Earl and the Miller brothers, guitarist Kim Miller and drummer Scotty Miller. In 1972, Sigler was given the go ahead by PIR to record tracks for a his own album and he brought Instant Funk and the TNJs into the studio. In 1974, PIR issued two albums by Sigler, ‘That’s How Long I’ll Be Loving You’ and ‘Keep Smilin”. Though most tracks on Sigler’s PIR albums have backing tracks by MFSB, a significant number (including the whole ‘My Music’ album) feature the Instant Funk rhythm section. The section were also heard on hits by the O’Jays, Archie Bell the Drells, Evelyn “Champagne” King and Harold Melvin And The Blue Notes. 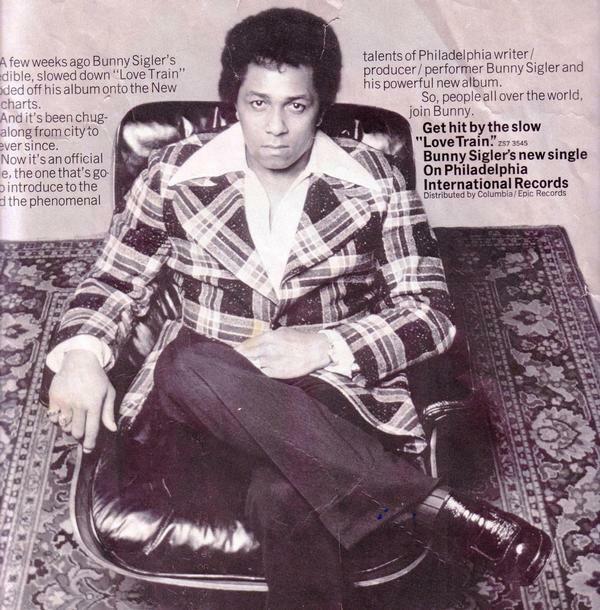 With the Philly soul sound so hot, Sigler got a chance to work with a number of acts as a writer and/or producer, including the Whispers, Ecstacy, Passion And Pain and Carl Carlton. He cut tracks for artists on Curtis Mayfield’s Curtom label, including Mayfield himself (“Trippin’ Out”), and made a duet album with Barbara Mason. In 1976, Sigler got Instant Funk an album deal with Gamble Huff’s TSOP label. A year later Bunny recorded an album for Curtom, “Locked In This Position”. In 1978, Sigler, bringing along Instant Funk, switched to Goldmind, a label started by MFSB guitarist Norman Harris and distributed by Salsoul Records. With his first release for the label, Sigler scored a Top Ten R&B single with “Let Me Party With You (Party, Party, Party)”. The album of the same name was a smash in disco clubs. When Goldmind folded, all of its acts were transferred to Salsoul. About a year after its release and thanks to a Larry Levan remix, “I Got My Mind Made Up (You Can Get It Girl)”, went on to be Instant Funk’s breakthrough hit (number one R&B). Both that single and the ‘Instant Funk’ album went gold. Just like at PIR, Sigler and Instant Funk worked with the acts on Salsoul – Loleatta Holloway, Double Exposure and First Choice as well as acts on other labels. In the early ’80s, after the release of Bunny’s ‘Let It Snow’ album, Salsoul ceased operations. Sigler continued to write and produce, hitting with “Somebody Loves You Baby” (co-written with Eugene “Lambchops” Curry), a million seller for Patti Labelle, and taking Shirley Jones, formerly of Philadelphia International sister act the Jones Girls, to number one R&B with “Do You Get Enough Love” in August of 1986. During his performing career Bunny had the honor to be invited to the United States Capitol where he sang the “23rd Psalm” at the investiture ceremony held at the Congressional Gold Medal to honor the Tuskegee Airmen on March 29, 2007. Bunny has been asked many times to sing the United States National Anthem at serveral major sporting events. Bunny has performed all over the world and has entertained millions with his high energy show. You won’t find anyone sitting down at a Bunny Sigler show !! Creating serveral hits over the span of his career that today’s generation keep sampling , Bunny continues to write, produce and Record new material. He is the co-writer of the song, The Ruler’s Back which was an opening song for the Jay Z’s album, “Blueprint”. He’s a living legend alright and a huge part of muisc history. Whether it’s performing, writing or producing he gives it his all….